Unfortunately we have had to cancel the dinner of August 8, 2014. The tailgate is still ON for August 9th. Join us before the Union take on Montreal at the tailgate to purchase autographed PSU items and support the Mack Fund. 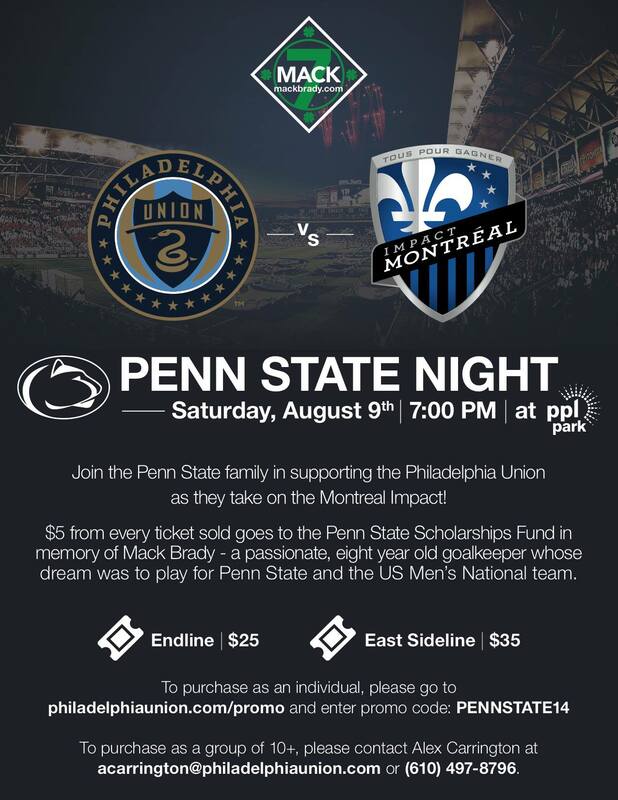 Saturday August 9th is Penn State Night with the Philadelphia Union! Use the code “PENNSTATE14” and receive a discount and $5 from each ticket will go to Penn State’s general scholarship fund in memory of Mack. We will be tailgating starting at 5! Join us!